As a kid, Andrea Cherng had no end of aunties and uncles who worked in her family’s restaurant chain, Panda Express. She considered them family, who could be counted on to pick her up from school, who shared meals with her and her two sisters. Even now, when she’s 37, they tell her she’s too skinny and urge her to eat. In turn, she knows to serve them first at meals, treating them with the respect due her elders. Now she’s joined the family business, which rang up $2.2 billion in sales in 2014, a privately-held empire of 1,800 restaurants and 27,000 employees with stores across the United States, Mexico, South Korea, and Dubai. Panda is putting the spirit of its extended family in action. On June 8, the company will hold its first-ever Family Day. For every two-item combo sold, the chain will donate $1 that the Cherngs will match – with the goal of raising $1 million dollars for food banks across the United States. “We are a tribe of aunties and uncles who has enjoyed such good fortune, we want to take care of each other and the broader community,” Cherng said. While they were growing up, she and her sisters didn’t bus tables or hostess at the restaurant because their parents wanted them to focus on their education and careers outside of Panda. “Andrea worked elsewhere, was educated as a lawyer, and attended business school. With that background, we’re able to respect each other and leverage each other,” said Peggy Cherng, 67, an electrical engineer who used to code simulators for the U.S. Navy. Working with family can have an “emotional side,” says the family matriarach, but “the best way to balance family togetherness and business is if everybody anchors in what is best for our company and for the people.” Theirs is an immigrant success story. Together with her husband, their net worth is an estimated $3.2 billion, according to Forbes. Peggy joined Panda after the birth of her second daughter, giving her more flexibility in her work schedule. She used her technology know-how to implement systems that tracked customer feedback, what was selling and what wasn’t. Her daughter’s strengths include an intimate understanding of what younger consumers want: fast, fresh, affordable, and fun. “People like Andrea are born here, lived here, educated here, and have the right perspective to move forward,” Peggy Cherng said. To that end, Andrea helps oversee Panda’s Innovation Kitchen in Pasadena, not far from her family’s original restaurant, the Panda Inn, founded by her father and her grandfather, Ming-Tsai. 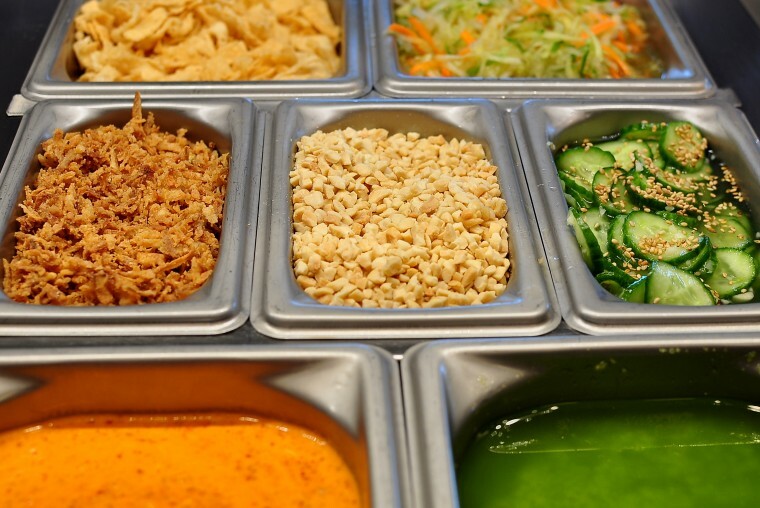 Andrew Cherng, who serves as the company visionary, first dreamed up the idea, which serves patrons new concepts in American Chinese food, such as scallion pancakes wraps, stuffed with the chain’s iconic orange chicken, as well as salads, and toppings like pickled cucumber. Panda sees itself as the inventors of American Chinese “fast casual” – restaurants without full table service, but with more fresh ingredients on offer, compared to fast-food. The fast-casual category has grown seven to eight percent each year, even though the restaurant to industry overall has been stagnant, according to the NPD Group, which tracks industry trends. Vanessa Hua is a freelance journalist in the San Francisco Bay area who blogs about multigenerational households at threeunderone.blogspot.com.